Technicians are state certified and fully insured. Work is covered by comprehensive liability insurance, including pollution liability. All activities are performed in compliance with applicable federal, state and local regulations, along with OSHA, the New Jersey Department of Environmental Protection, and National Petroleum Institute’s standards. If you are selling, refinancing or buying a home, you’ll need inspections. The certified inspectors at Statewide Environmental Services LLC will perform inspections as per NJDEP guidelines, assuring an accurate inspection. If repairs are requested or required, we specialize in real estate transactions and can assist with your environmental project in a cost-effective, expeditious manner. Environmental issues for a homeowner can be extremely stressful and costly. Septic and oil tank issues can also cause health concerns when components are malfunctioning, have suffered structural damage or may be discharging into the environment. Environmental issues can be complex and sometimes confusing. Statewide Environmental Services LLC will address your site and concerns, providing you options for your specific situation. Whether you are working on behalf of the buyer or the seller, you understand that environmental issues can be both costly and time-consuming, both of which can have a significant impact on the closing date or the deal itself. Statewide Environmental Services LLC will work with all parties involved to ensure that all work performed is to your client’s satisfaction, expedited and cost-effective. We keep the deal together. 90% of malfunctioning septic systems serviced by Statewide Environmental Services LLC have been repaired, not replaced. When your septic system malfunctions or your oil tank suffers structural failures, it can cause health issues inside and outside of your home. Statewide Environmental Services LLC strives to provide cost-effective solutions to ensure that your septic system and oil tanks are functioning in accordance with local, state and federal regulations. Statewide Environmental Services LLC guarantees the highest level of service, fully addressing our clients’ concerns and providing project solutions from start to finish. Statewide Environmental Services LLC is best in customer service! Our pricing is competitive and our service is the best. We were very pleased with the service we received. … We were treated with great respect. … You saved us thousands! With Statewide Environmental Services LLC, you get efficient, cost-effective, expert solutions to environmental situations you may be facing. 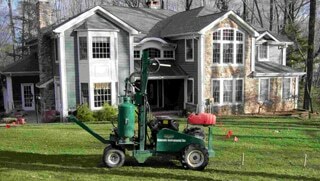 Statewide Environmental Services LLC can provide you with a full range of septic system services from inspections to installations, as well as comprehensive oil tank services, soil testing and remedial plans. Statewide Environmental Services LLC Is . . .
A member of the National Environmental Health Association (NEHA).